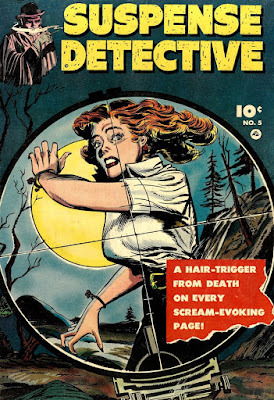 --and if you think you need a story about a candlestick maker to round out your trilogy of terror, just click HERE after today's deadly double detective feature! 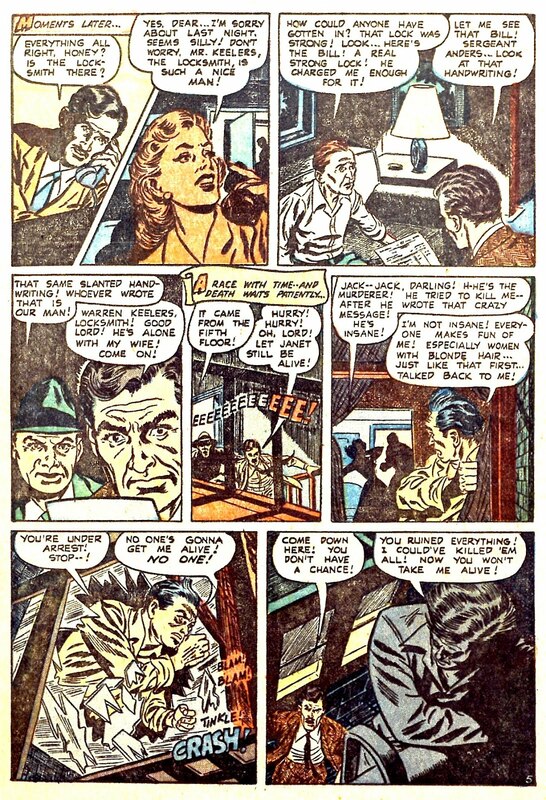 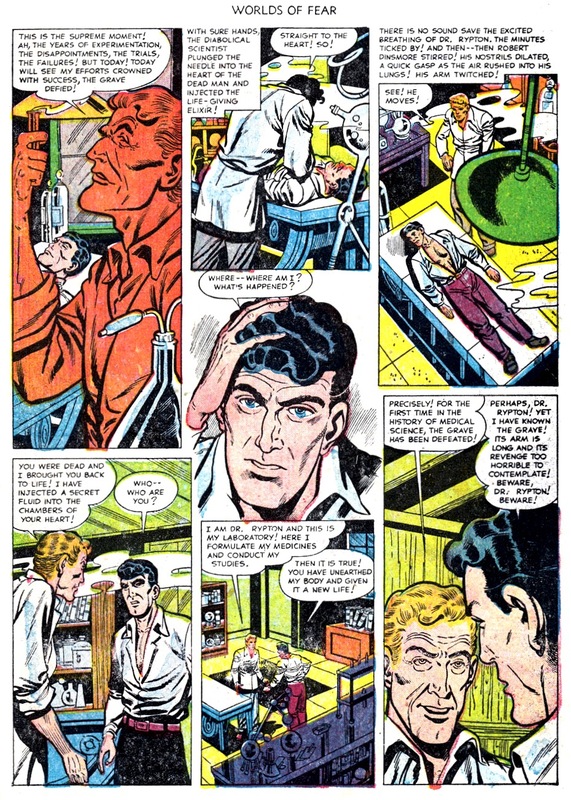 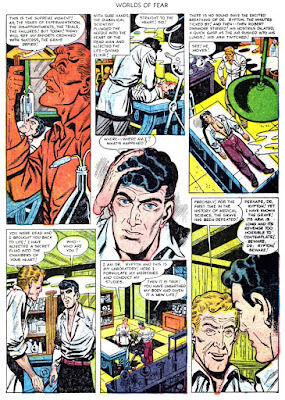 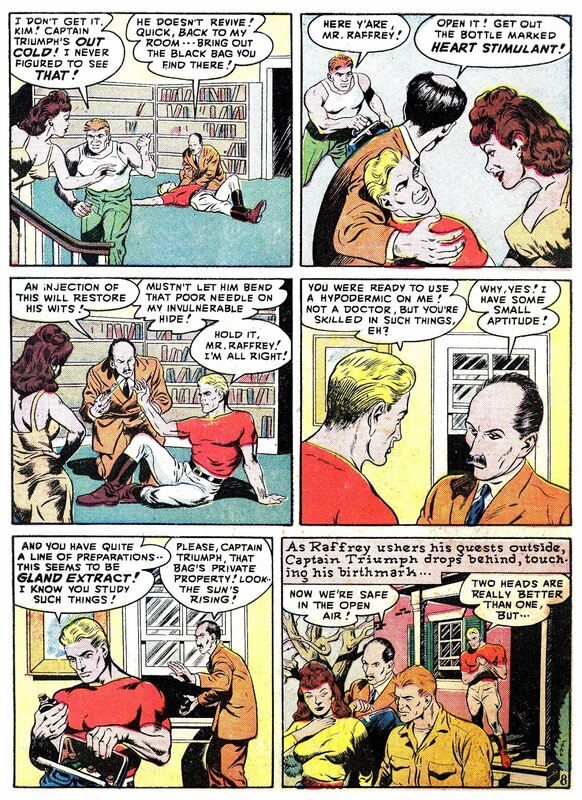 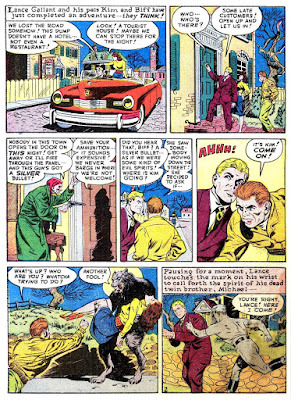 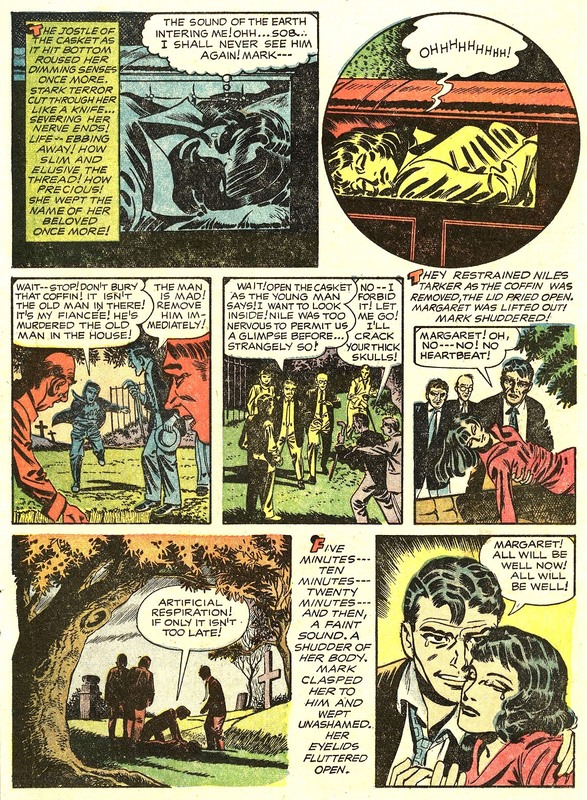 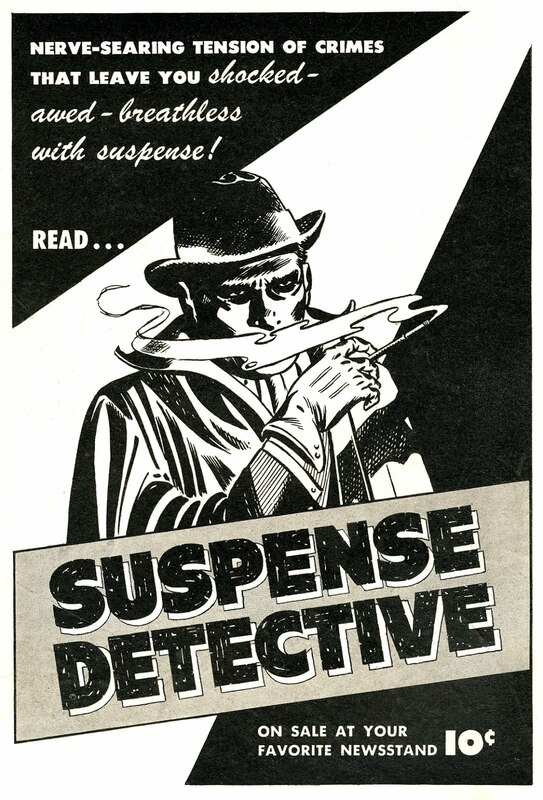 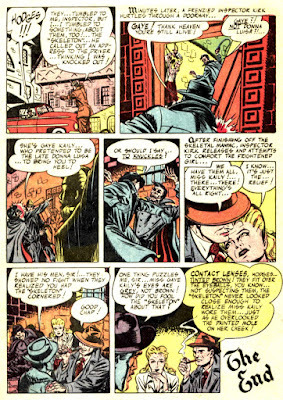 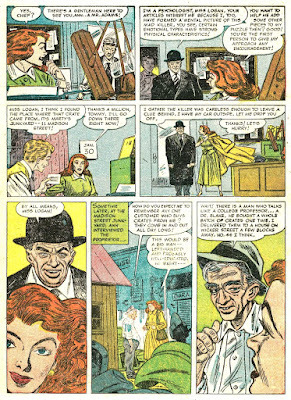 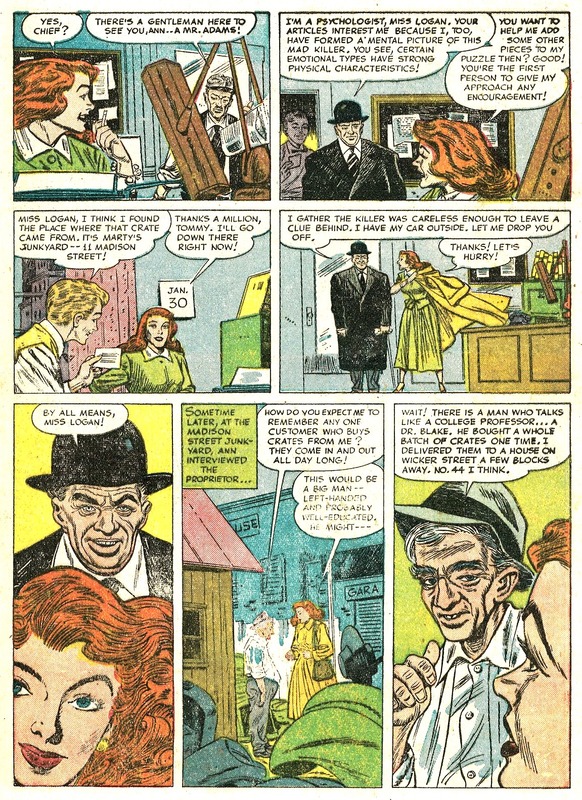 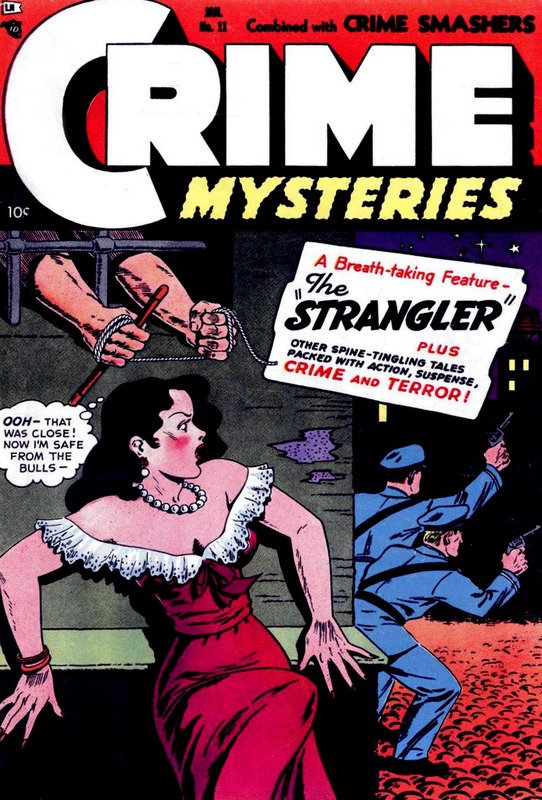 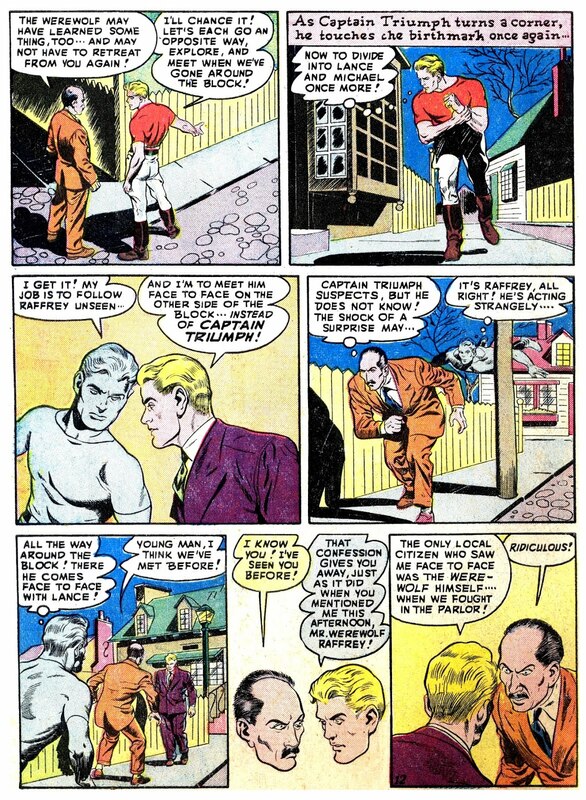 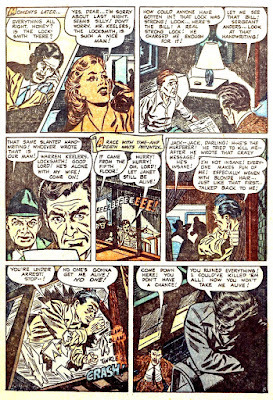 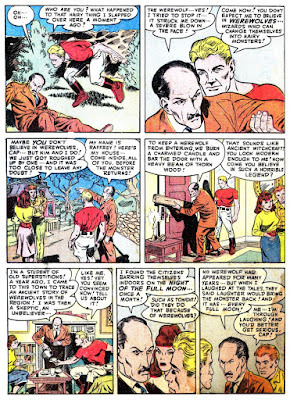 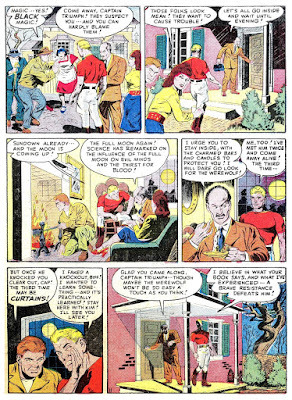 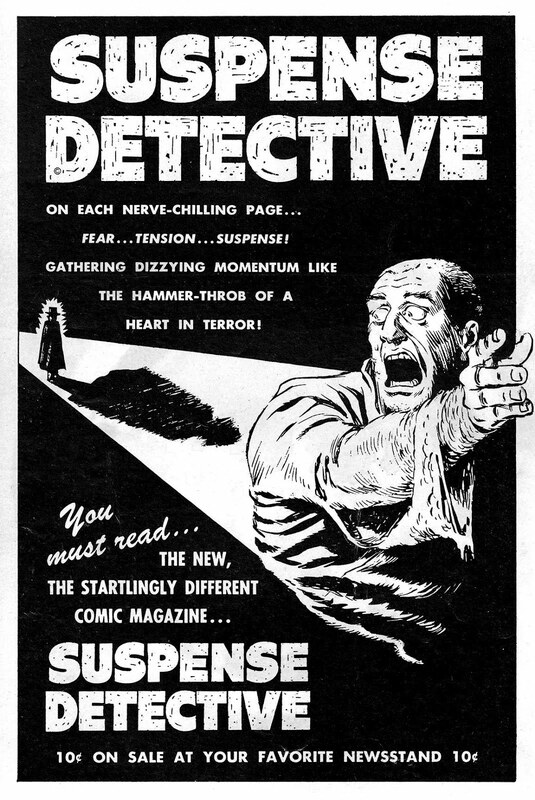 Our first tale fresh off the chopping block is from the August 1952 issue of Suspense Detective #2, with art by Mike Sekowsky, followed by one guaranteed to really choke you up, from the January 1954 issue of Crime Mysteries #11. 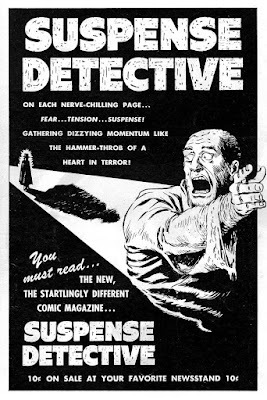 Saturday Night Shocker time again, as THOIA presents a frighteningly fun thriller with heavy horror overtones and lots of atmosphere-- from the March 1953 issue of Suspense Detective #5, --the last issue in fact from this doomed, but still decent, short-lived Fawcett series. 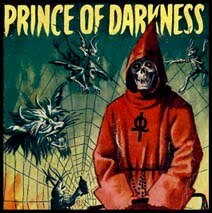 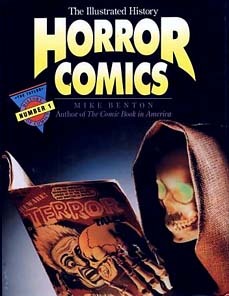 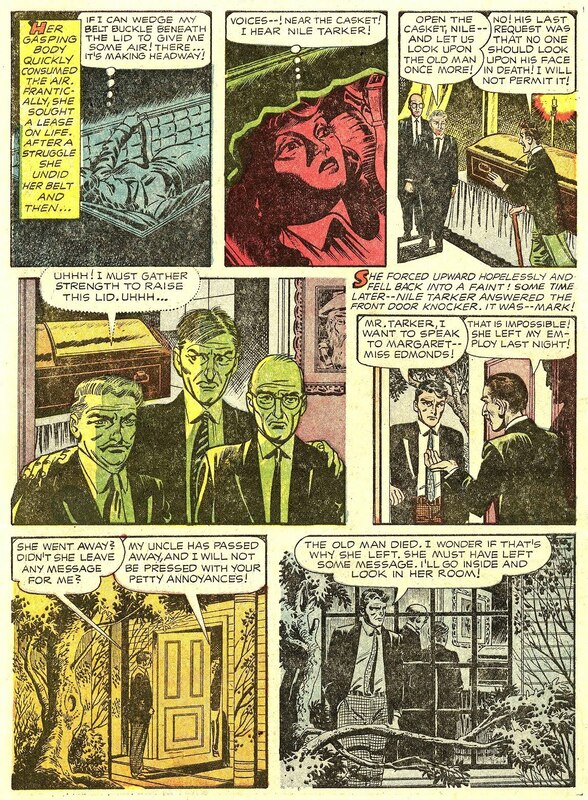 This is the sort of spooky story that would've made a great Hitchcock Presents or Boris Karloff's Thriller episode. 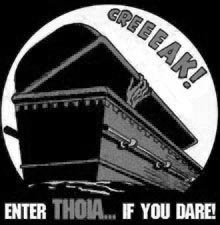 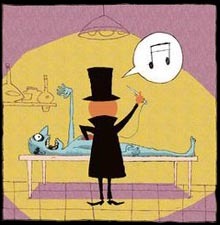 What's that you scream, not enough chemical vat torture stories here at THOIA? 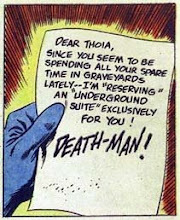 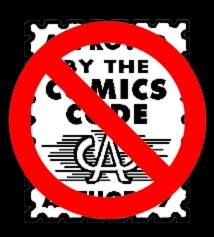 Well, let me rectify that NOW. 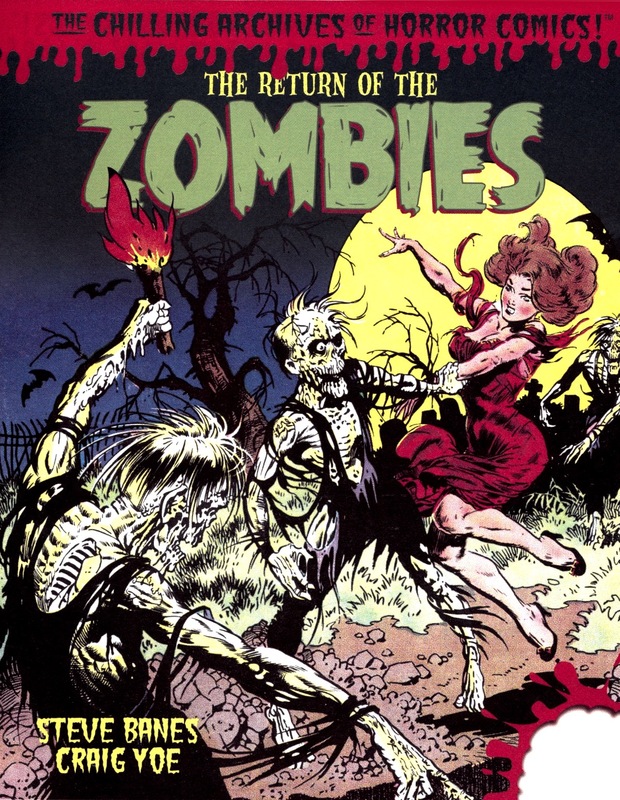 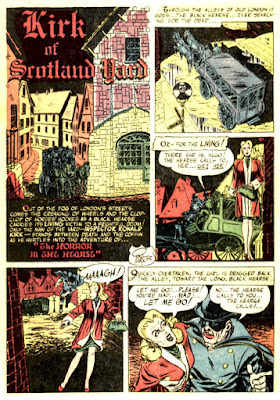 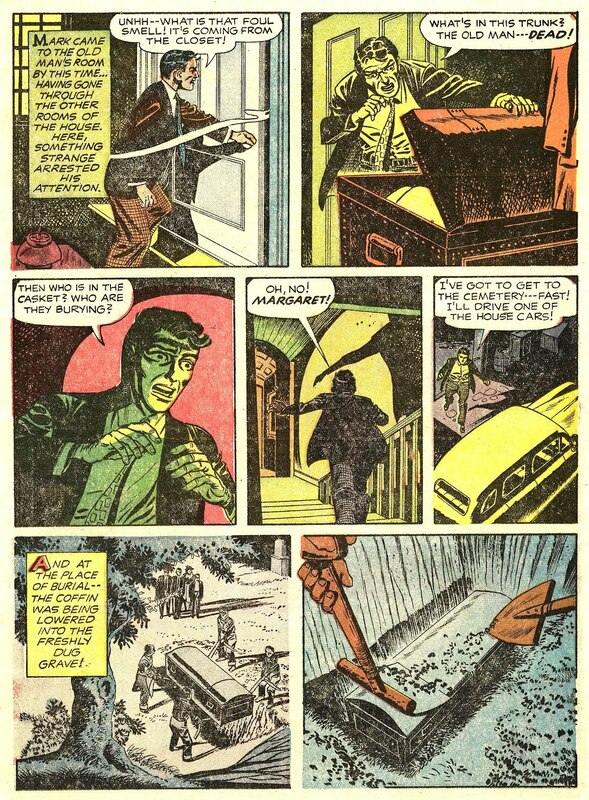 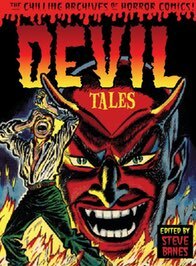 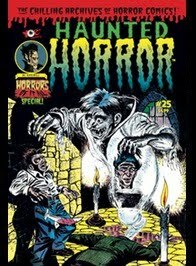 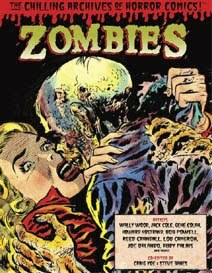 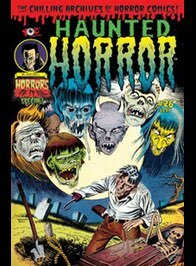 Fans of mysterious detective tales (like Dr. Drew for example) should enjoy this eerie expedition into macabre murder and vengeance, as Kirk of Scotland Yard faces one of his most facelessly evil adversaries! 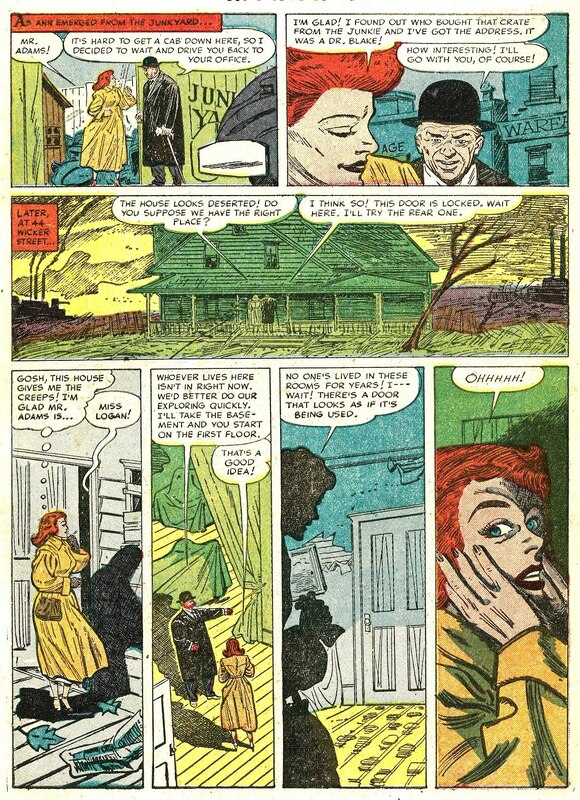 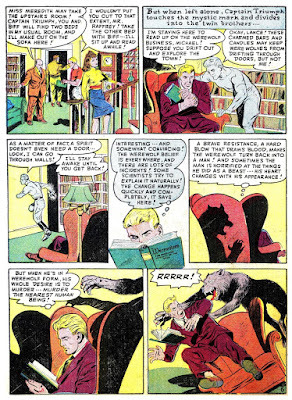 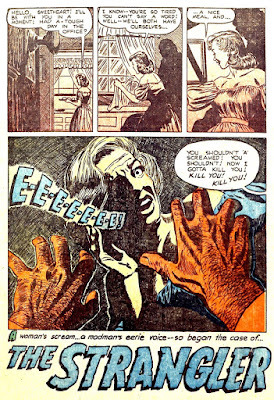 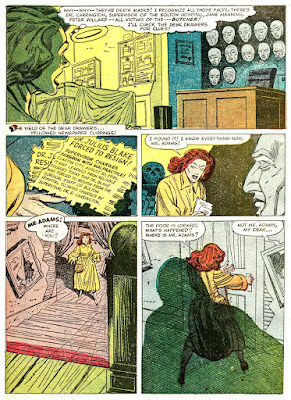 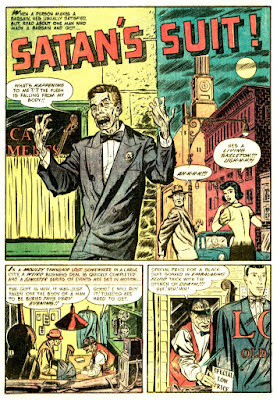 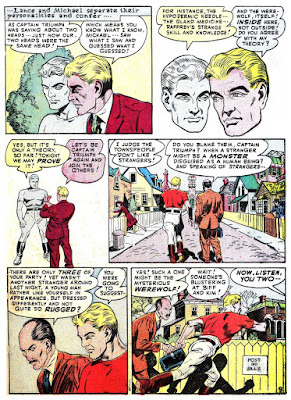 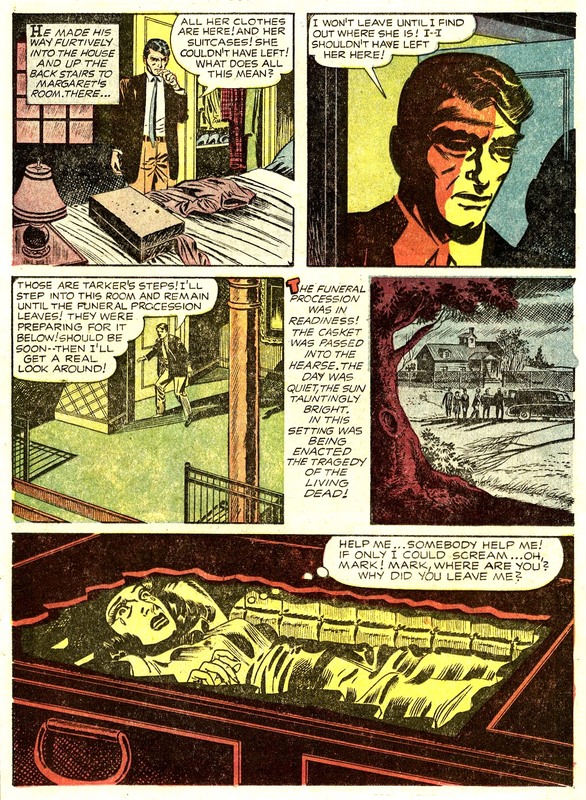 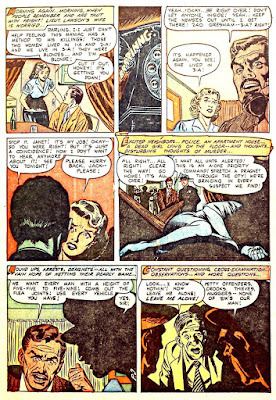 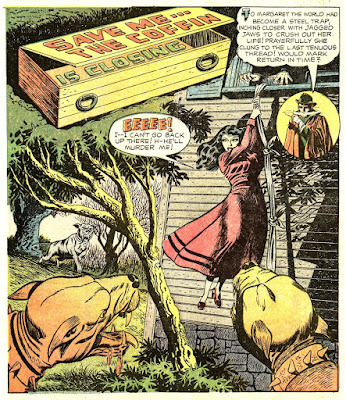 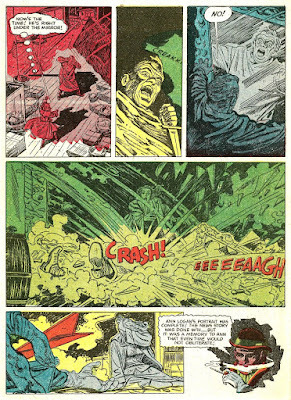 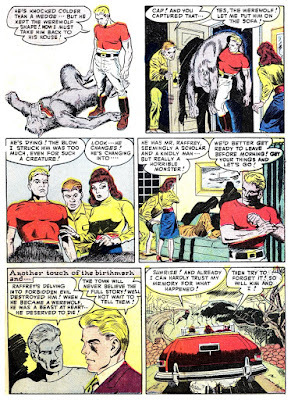 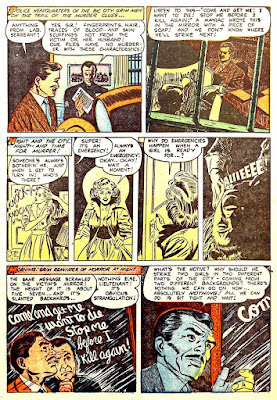 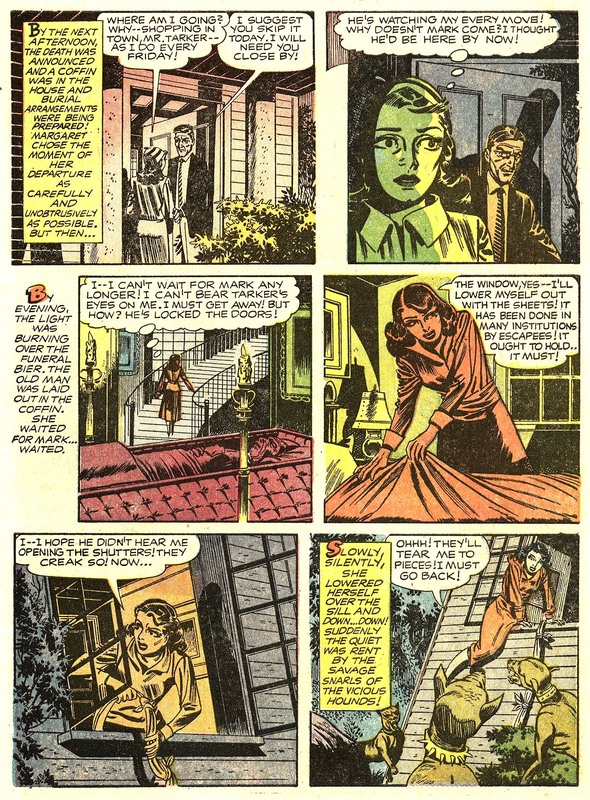 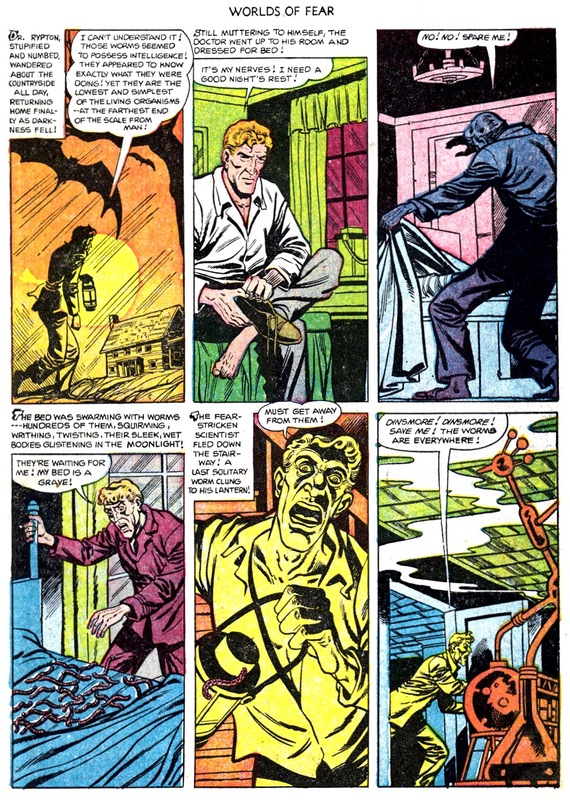 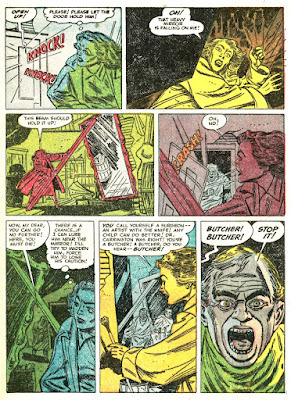 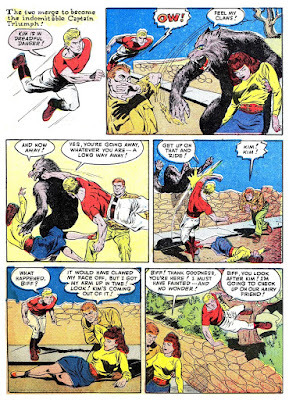 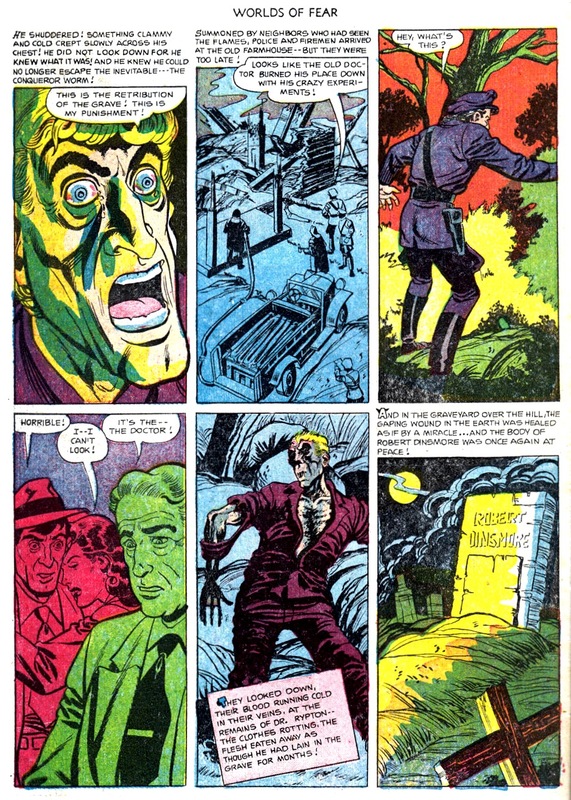 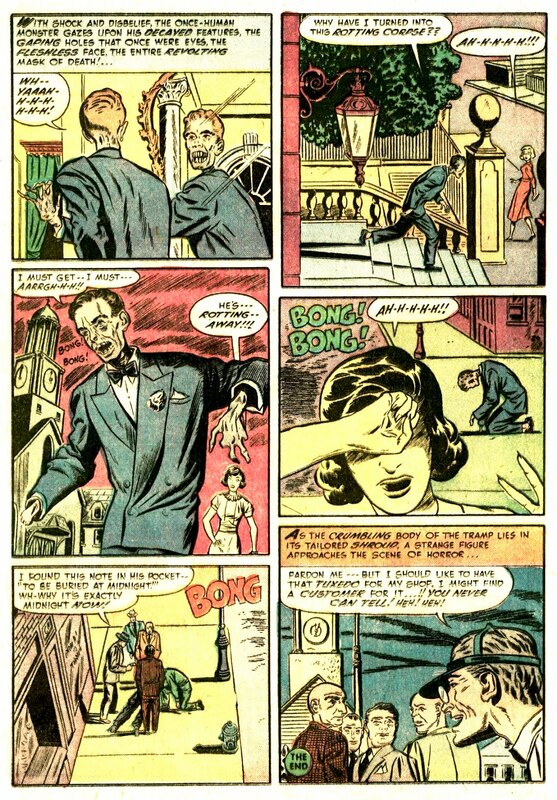 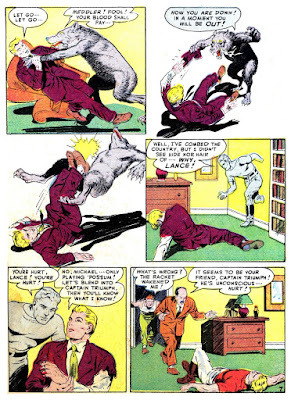 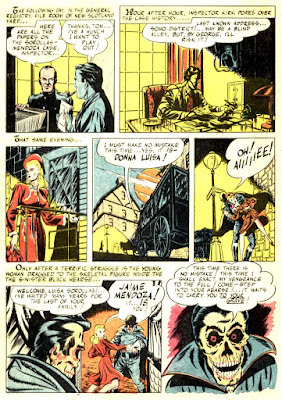 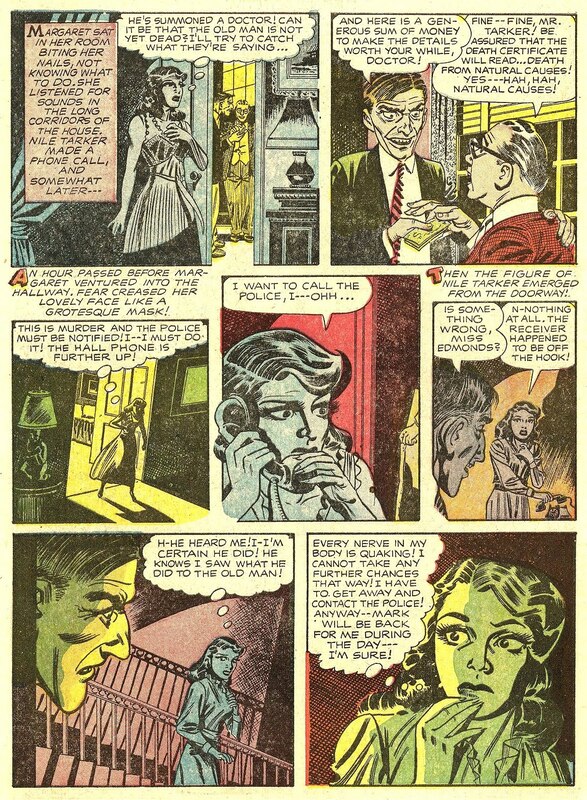 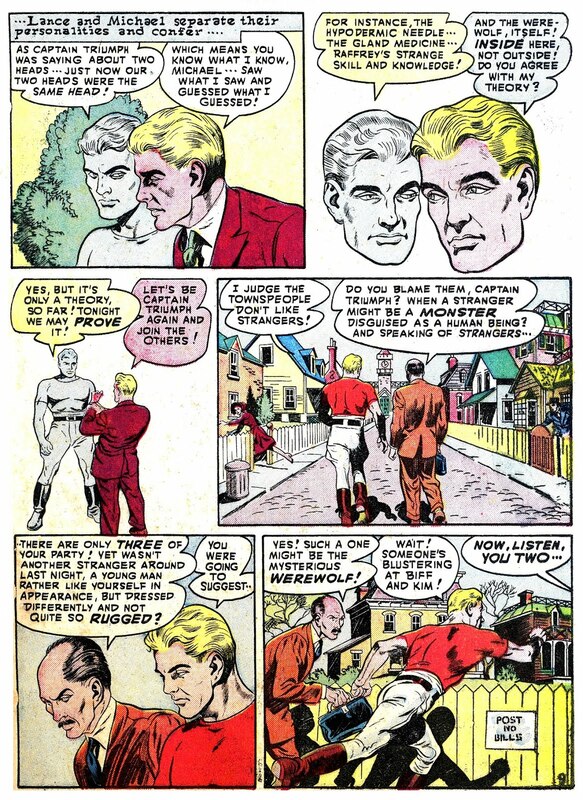 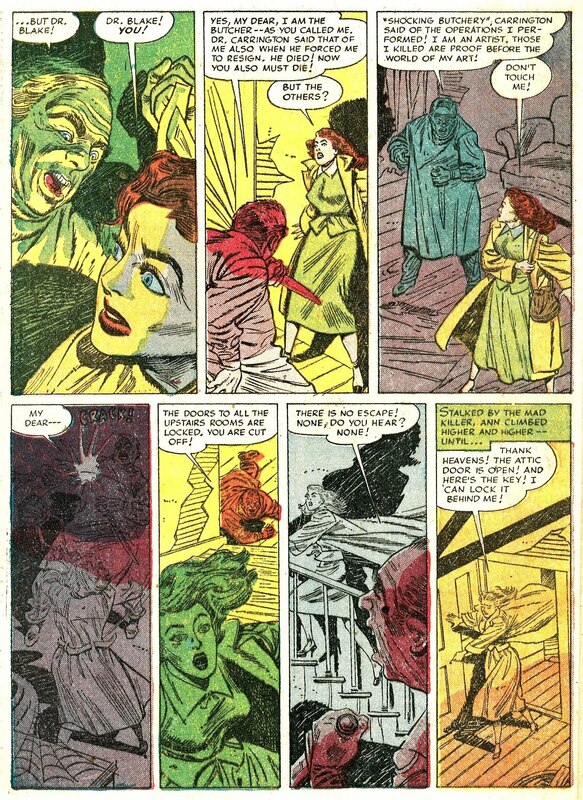 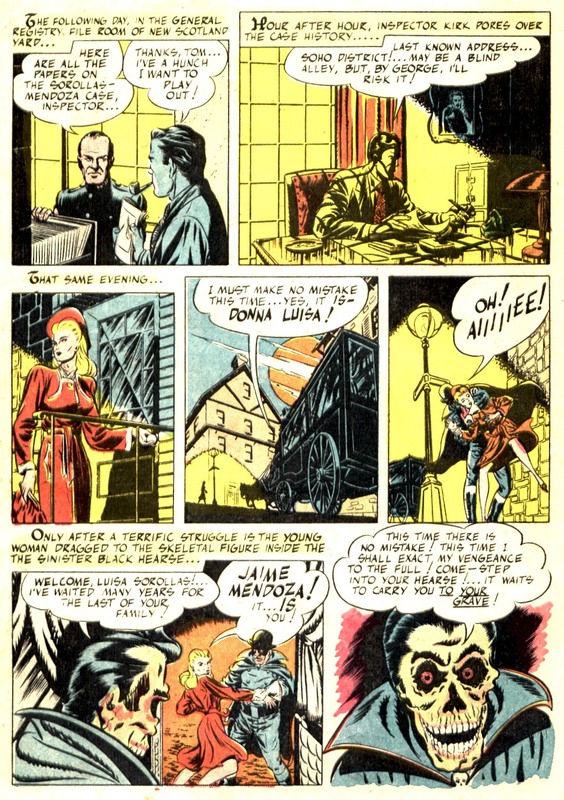 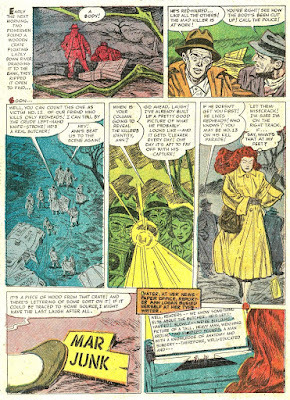 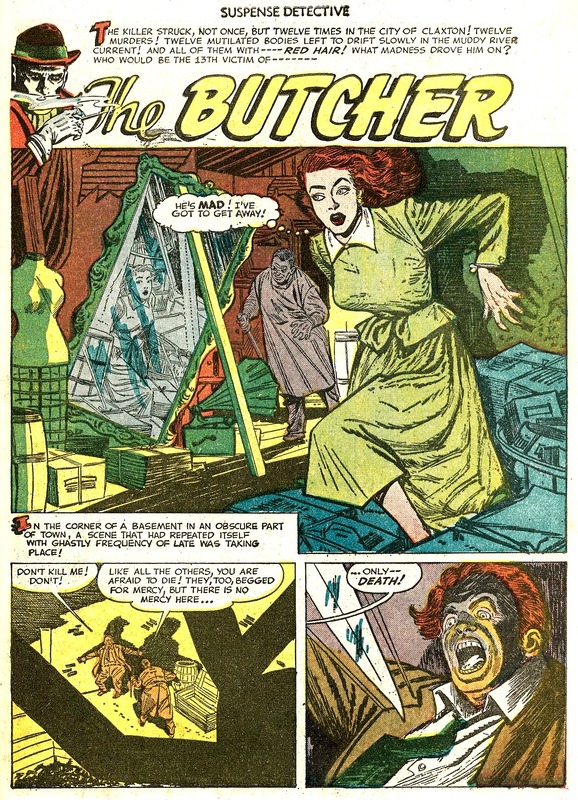 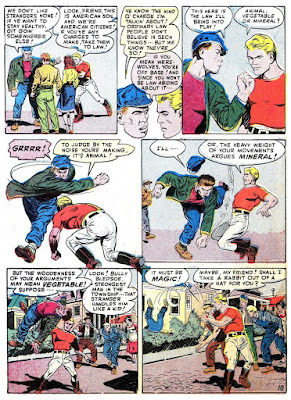 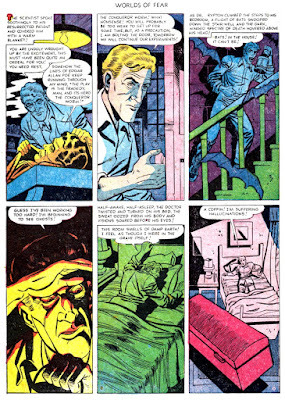 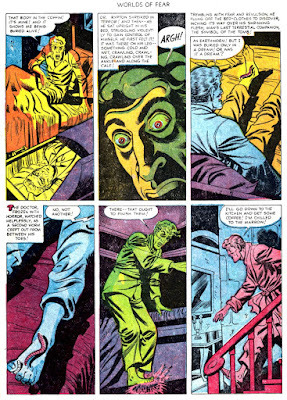 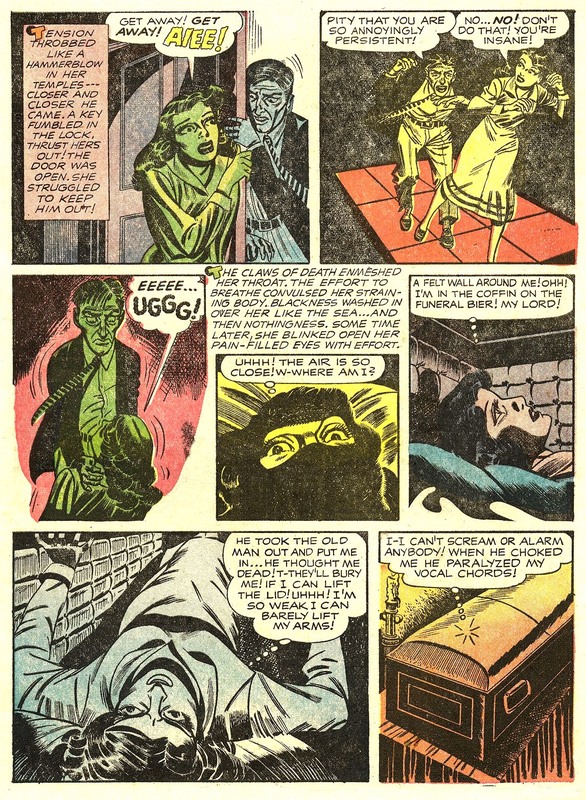 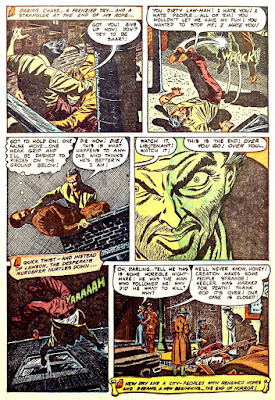 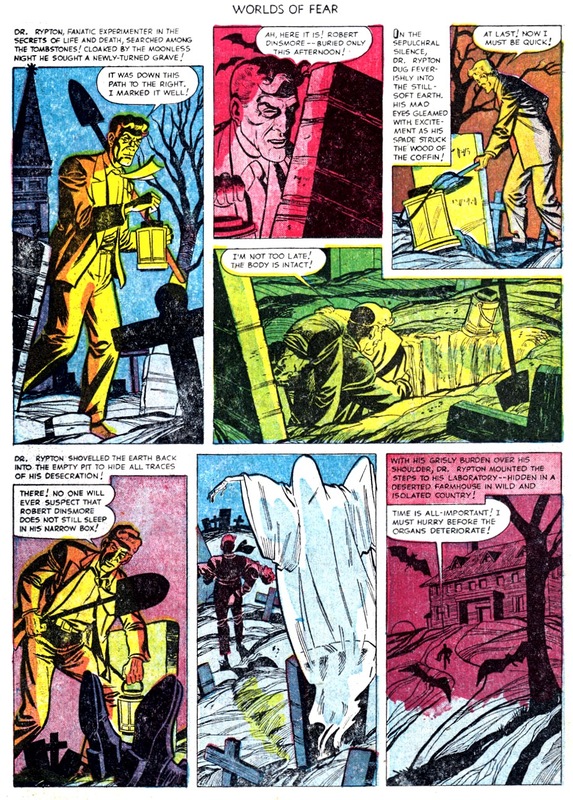 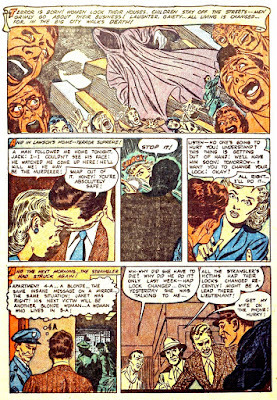 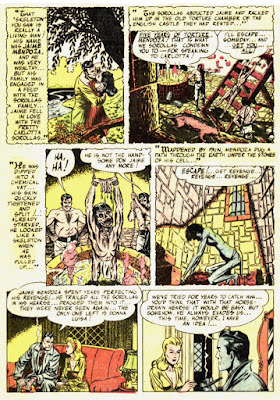 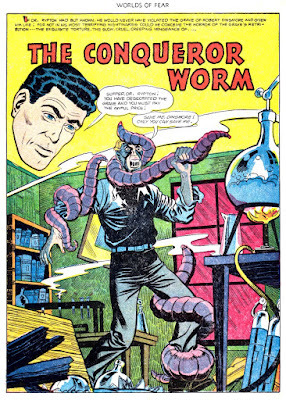 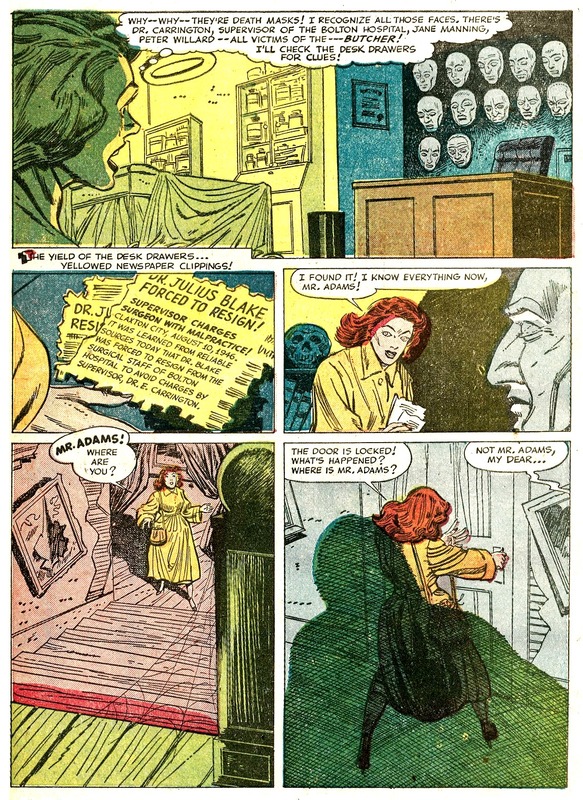 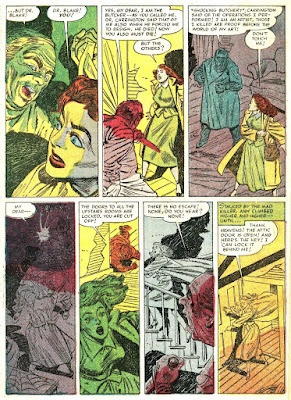 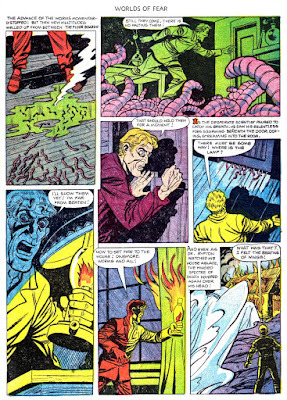 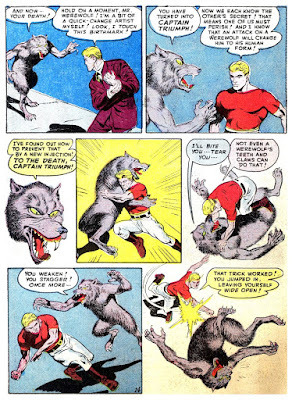 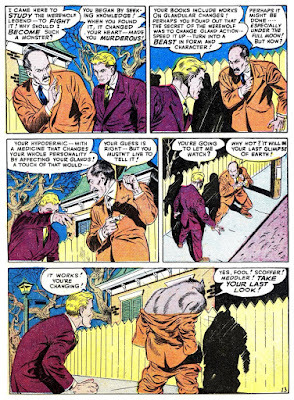 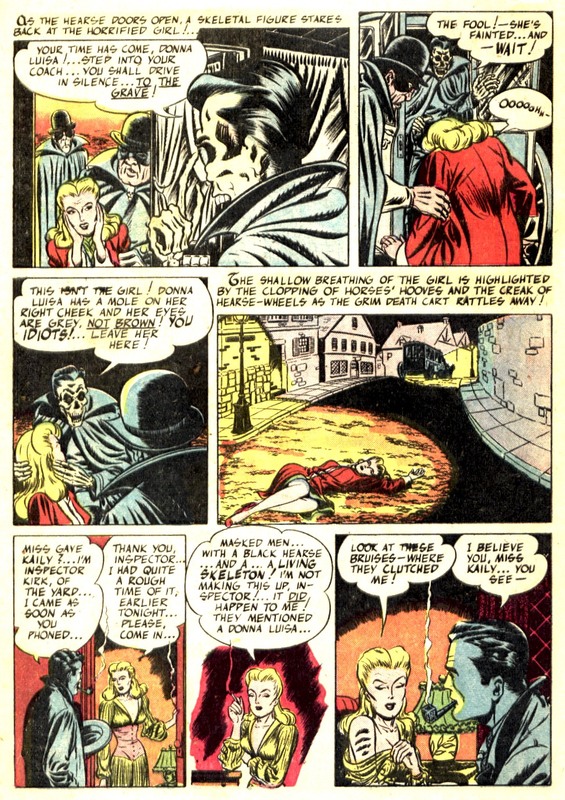 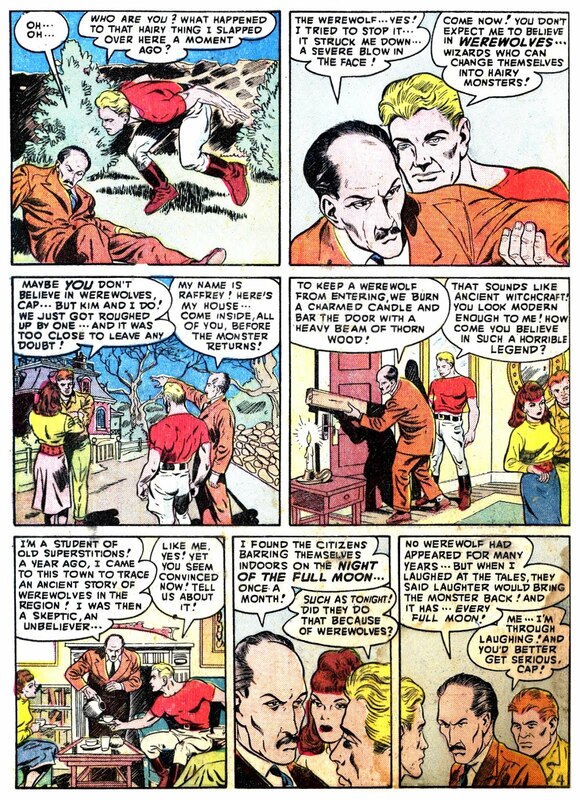 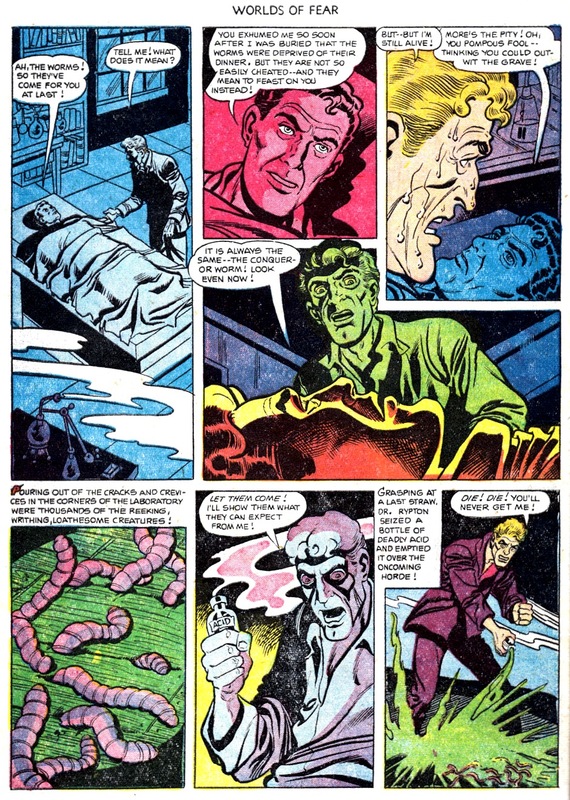 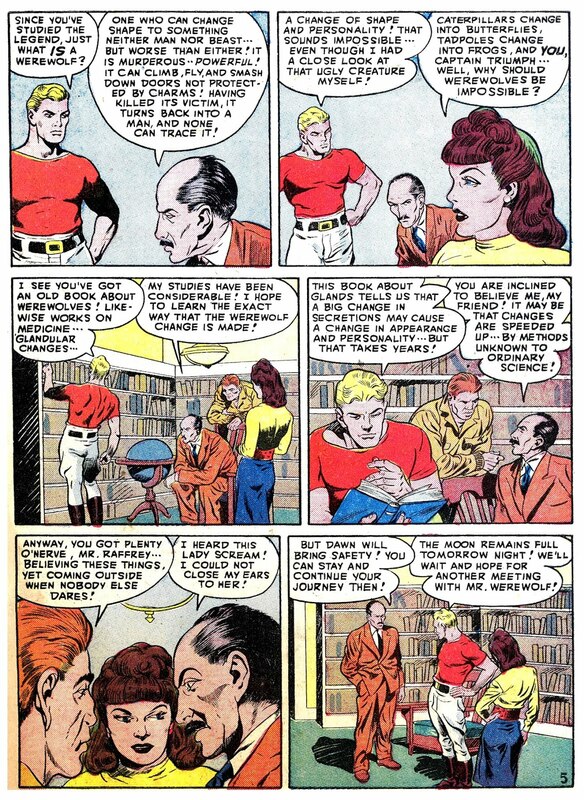 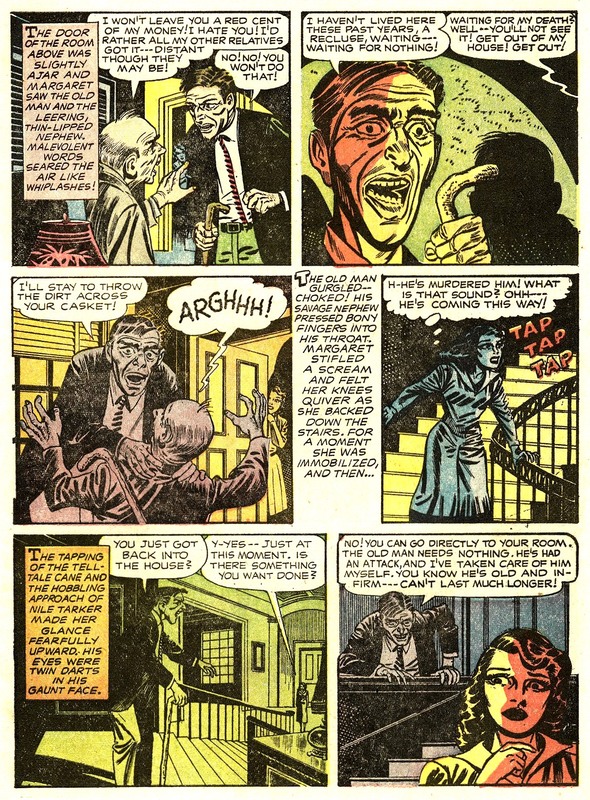 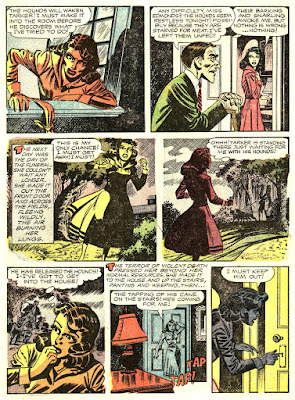 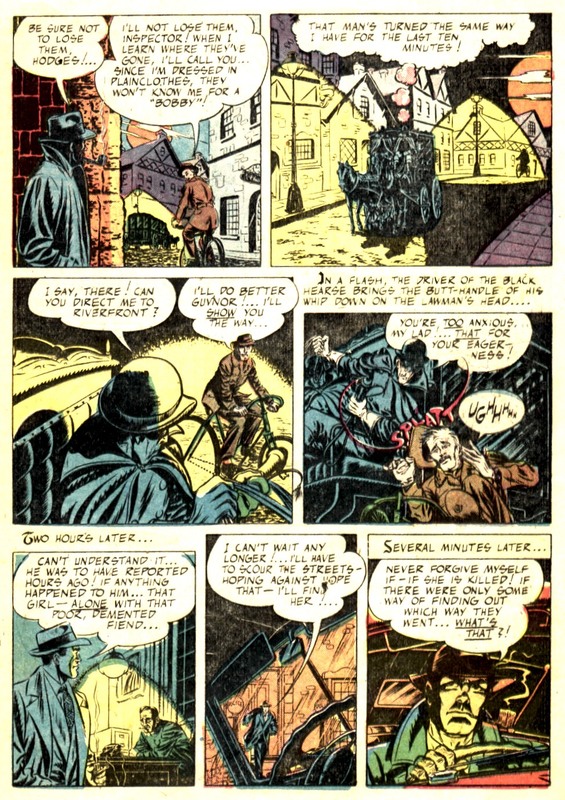 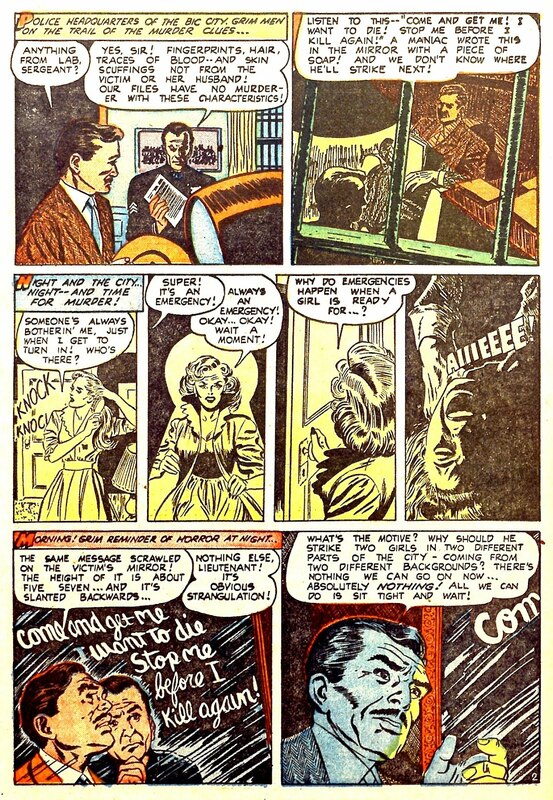 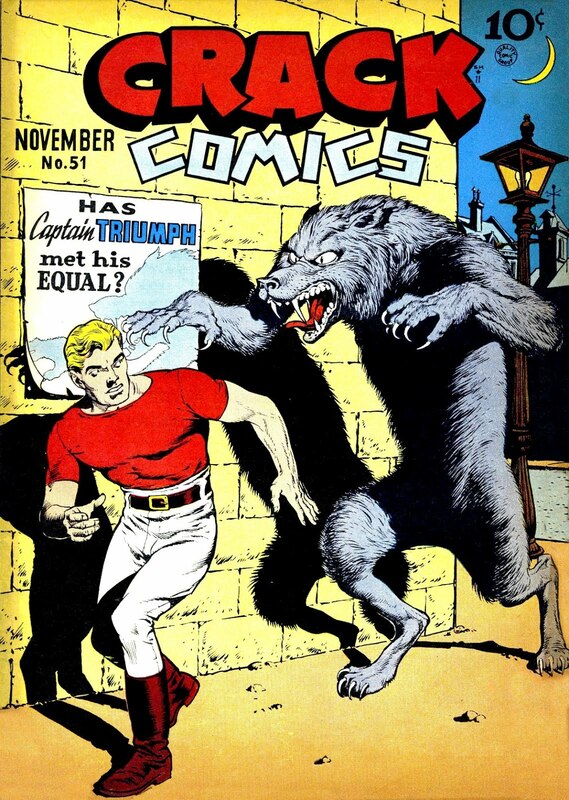 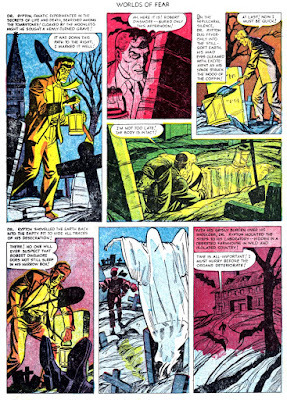 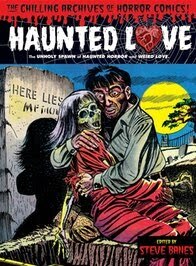 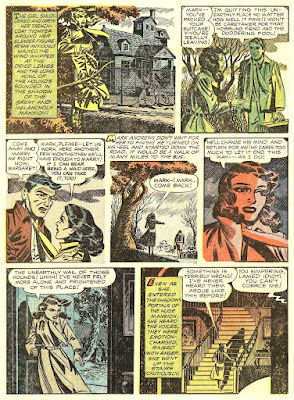 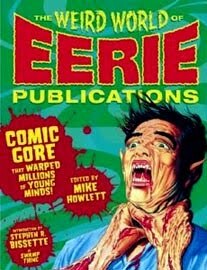 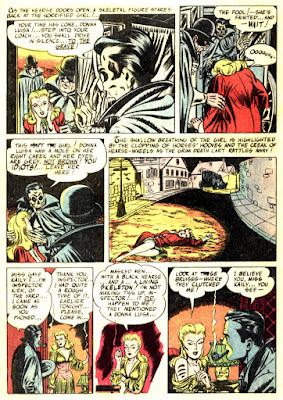 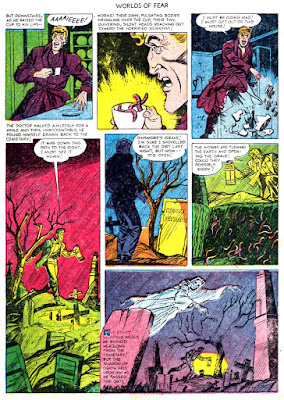 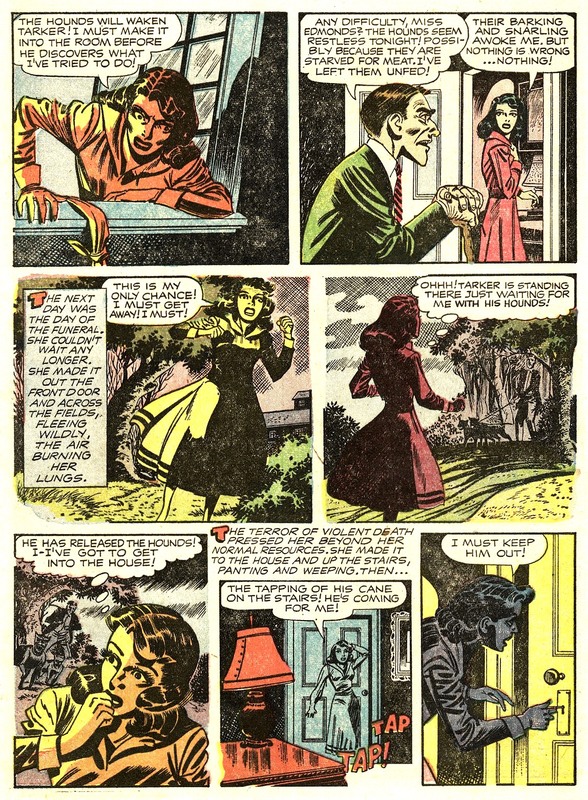 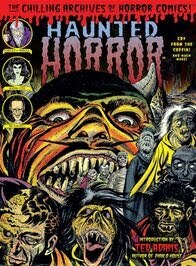 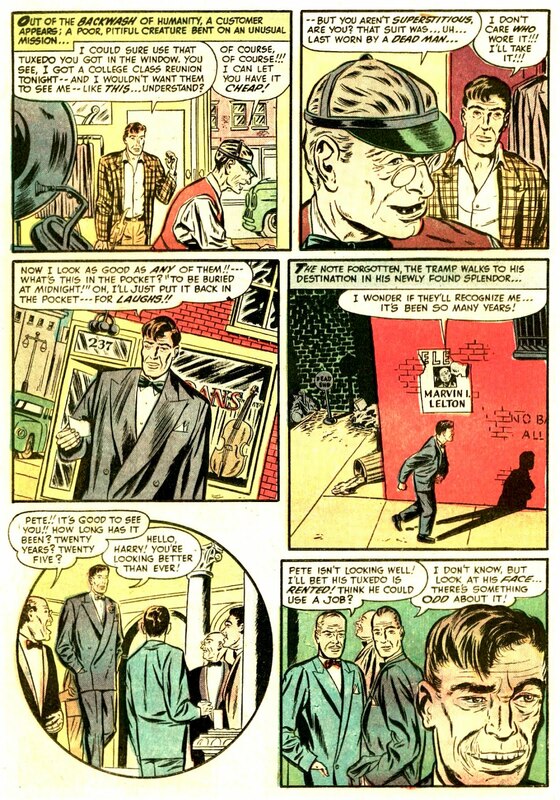 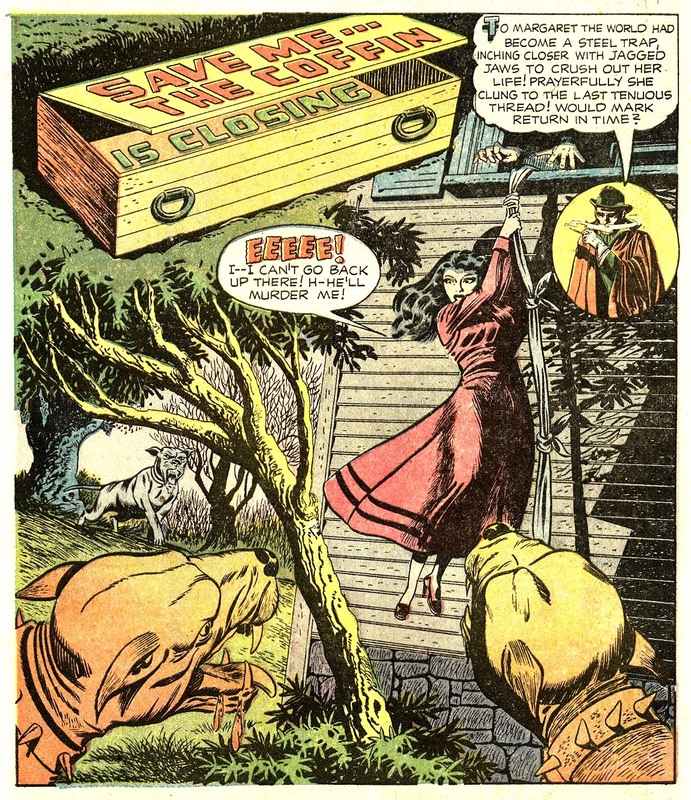 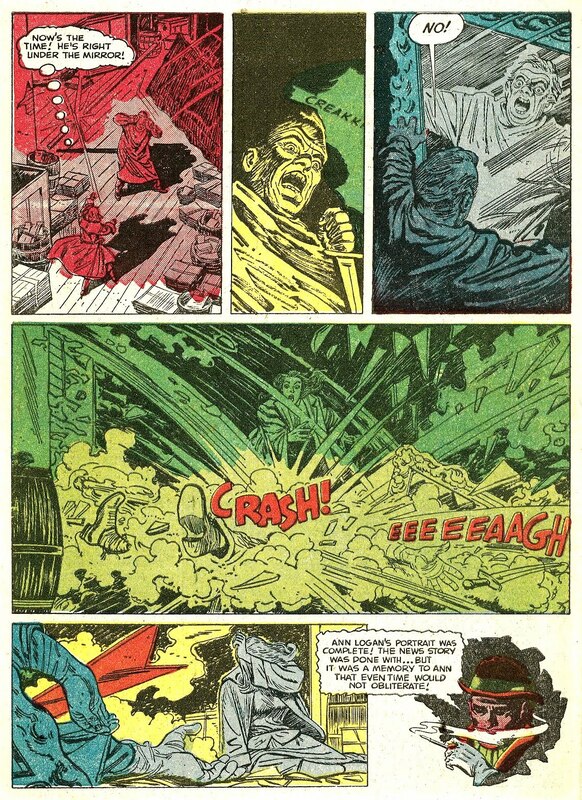 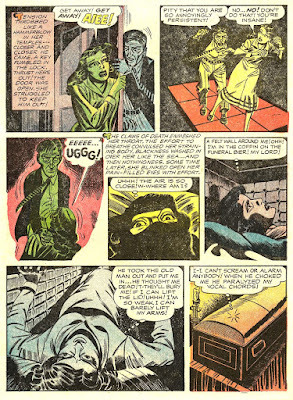 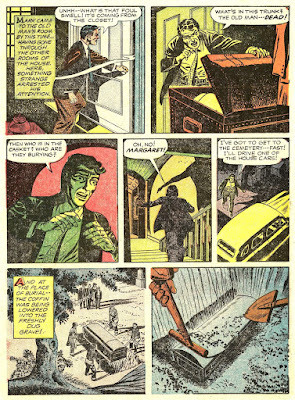 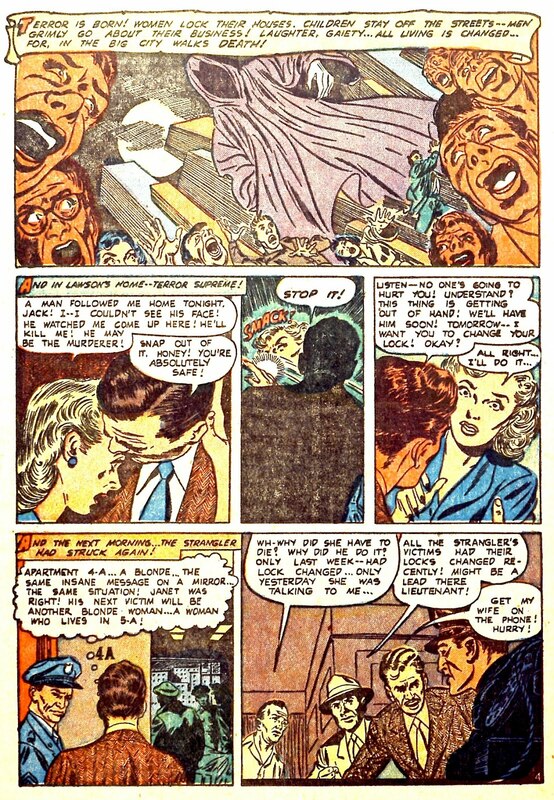 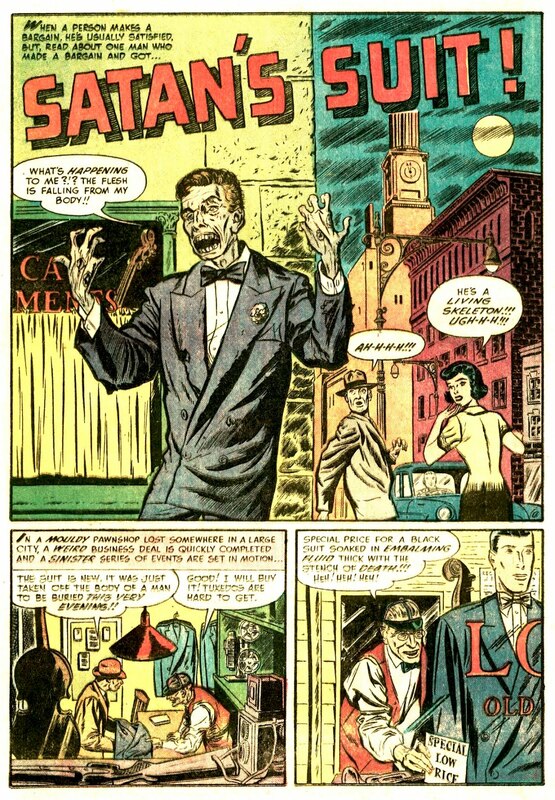 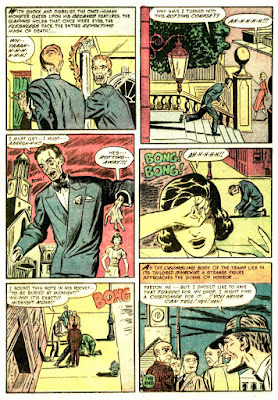 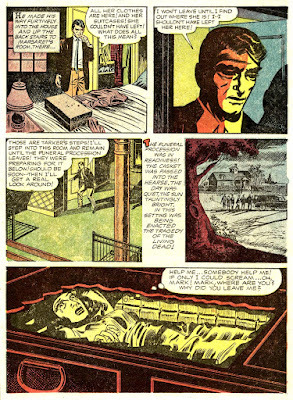 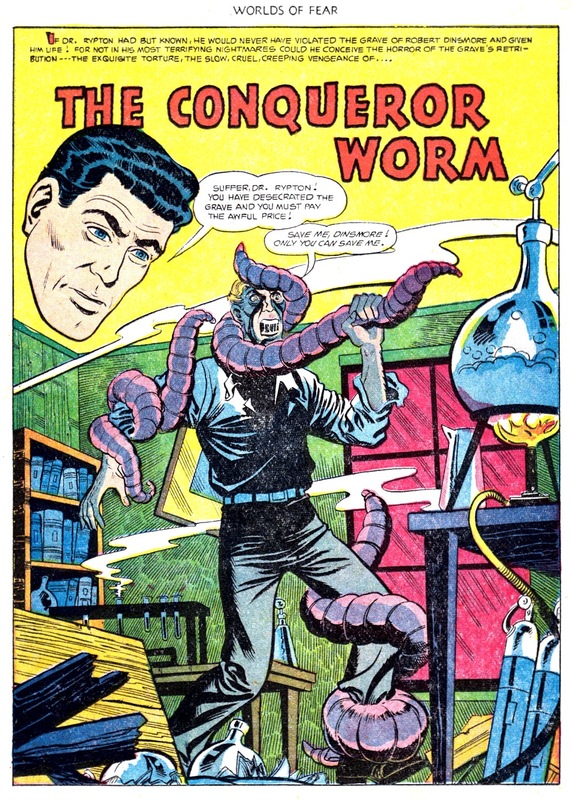 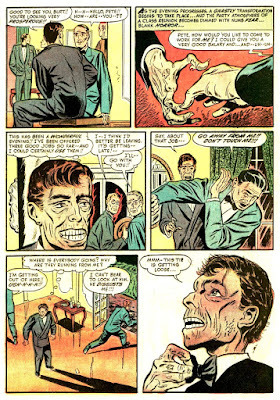 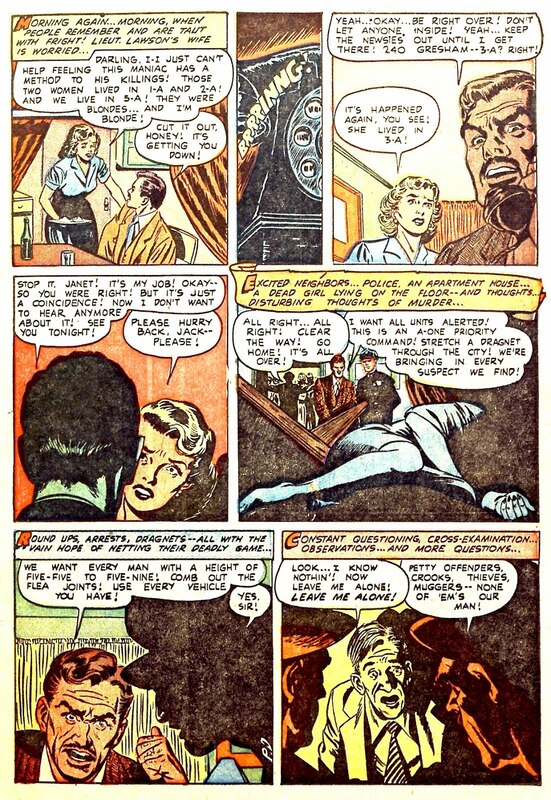 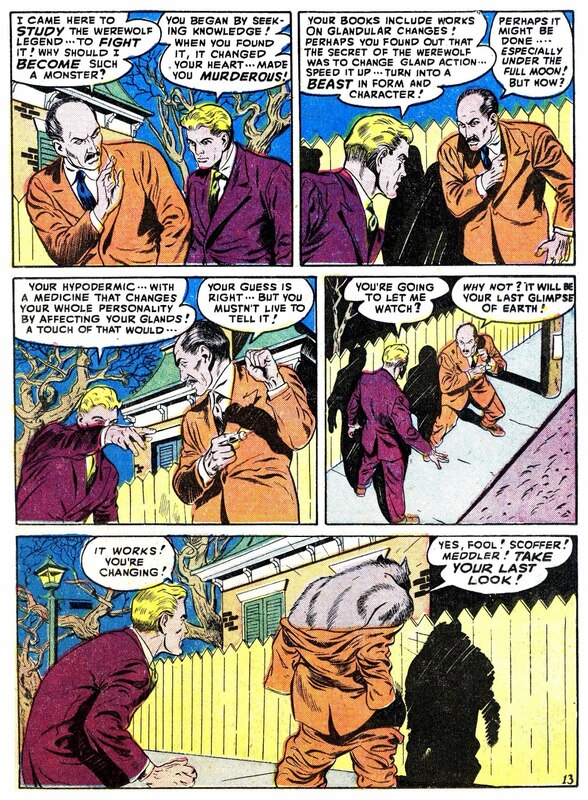 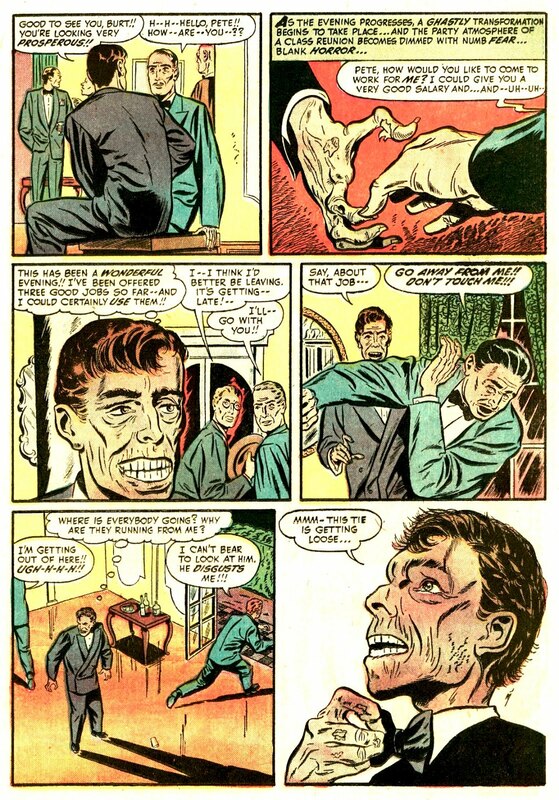 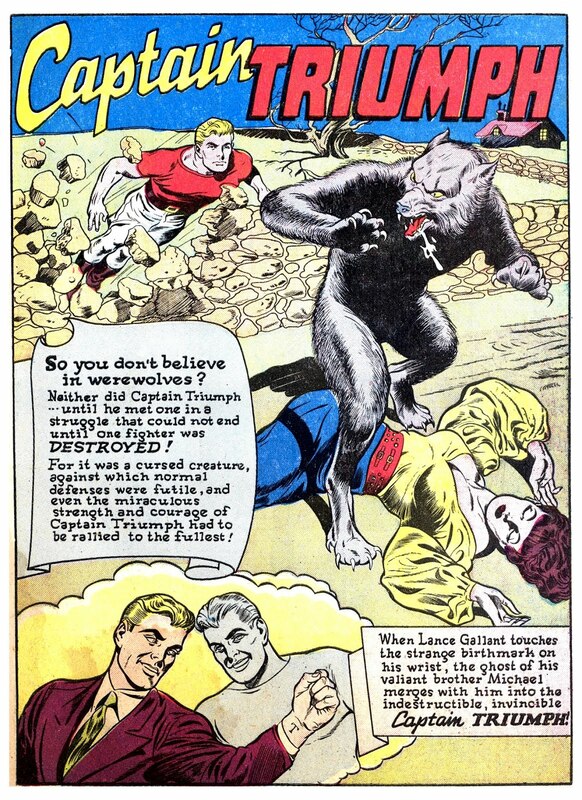 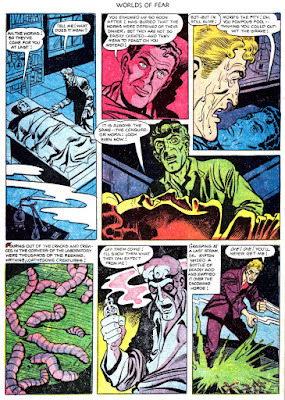 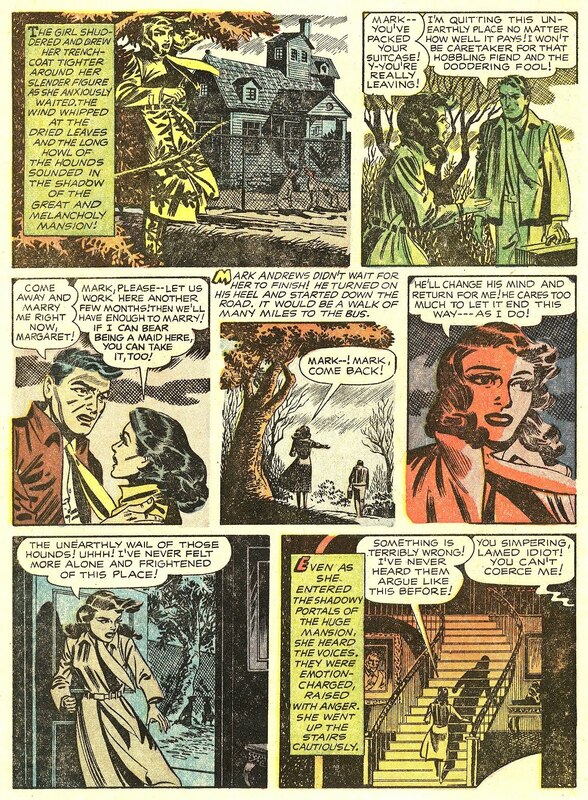 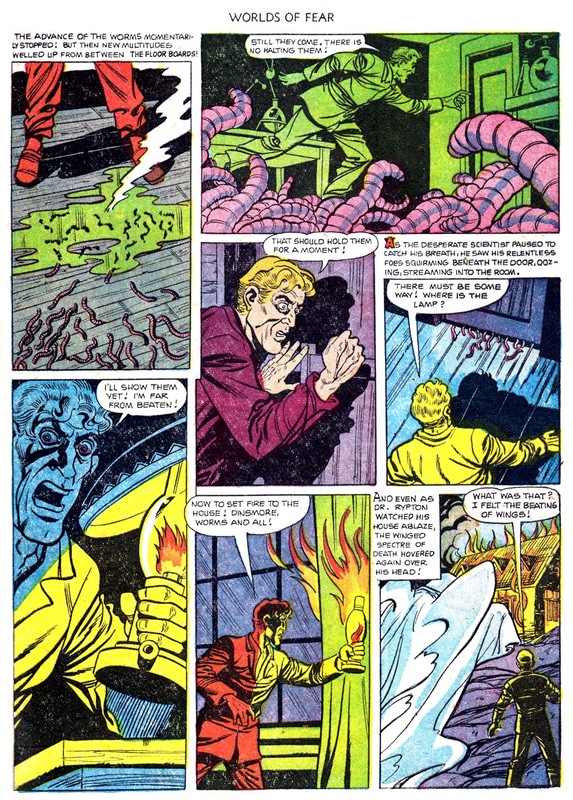 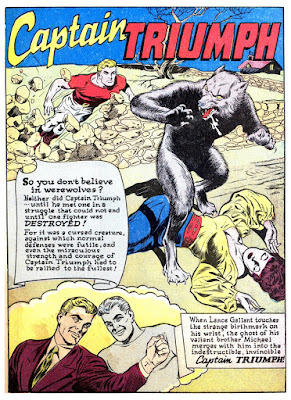 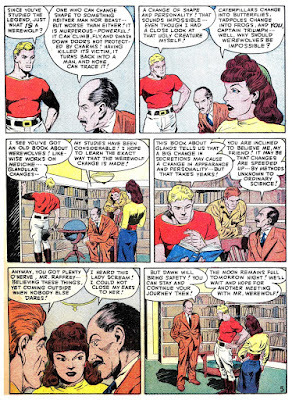 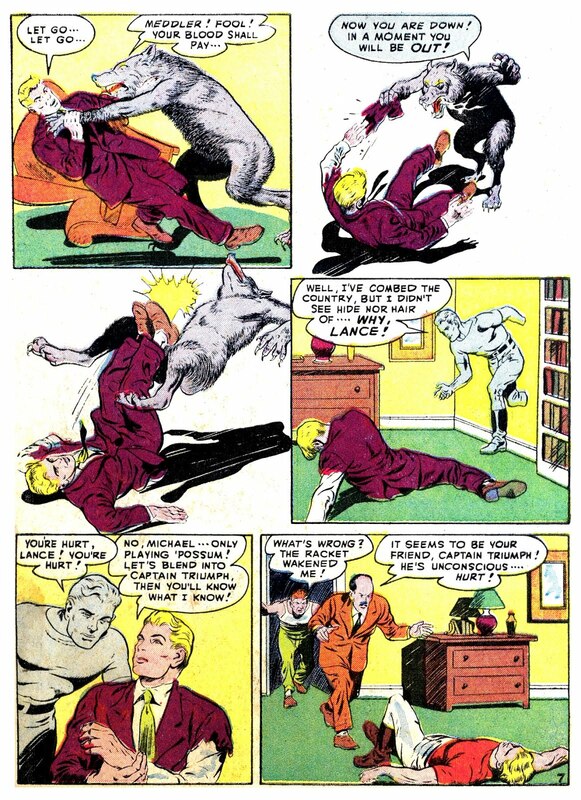 From the Dec '47 issue of Manhunt #3, with perfectly petrifying art by Paul Parker!